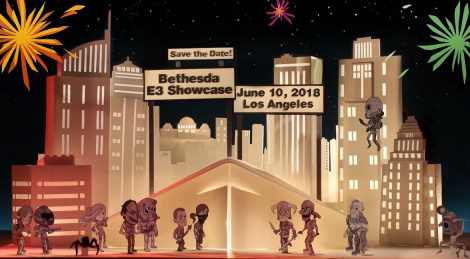 Bethesda has already formally revealed Fallout 76 and RAGE 2 but the publisher keeps more for its E3 showcase starting live at 6:30PM PT/9:30PM ET. This was Bethesda's worst conference, had a horrible start, Rage 2's demonstration was weak and bad, Fallout 76 was uninteresting for me, and the rest were almost all just very short teasers. Hopefully next year they actually show Doom: Eternal, Starfield and The Elder Scrolls 6 gameplay. Starfield is a next-gen game (PS 5 and XB2/4), and Todd Howard said that TES6 will come out after Starfield. So unless they change the release timeline, it's in line with what they said before. TES6 is most likely a 2nd or 3rd year PS5 and XB2/4 game. While showing them is good, they're a very long way off if Sony's PS5 in 2021 rumor is true. So unlike Bethesda, they're talking about games that will only come out in 3 to 5 years. Definitely too soon to announce and talk about them. As much as I want to see and know more about them, I hope we don't spend the next years seeing them over and over at Bethesda conferences. Rage was the best thing there. I'll buy the new Wolfenstein but it had a nothing trailer. Prey dlc isn't what I wanted at all. Doom was basically a no show. Tes6 and starfield where nothing trailers about games so far away they may as well not have bothered. And fallout 76 is in fact rust with a fallout skin like it was rumoured to be which is an easy pass for me.